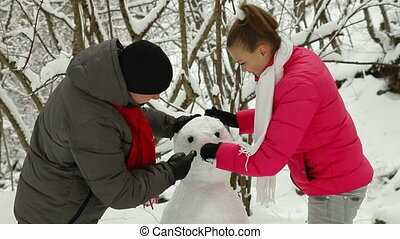 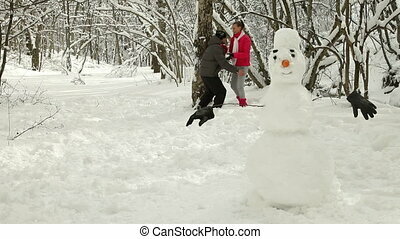 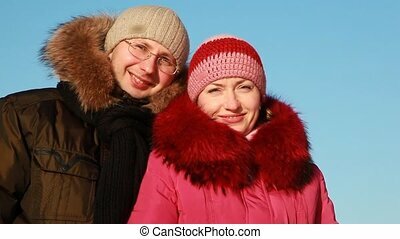 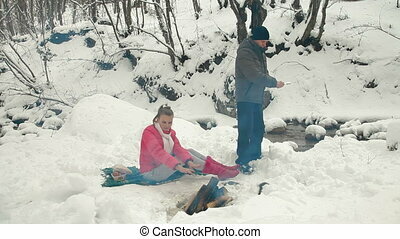 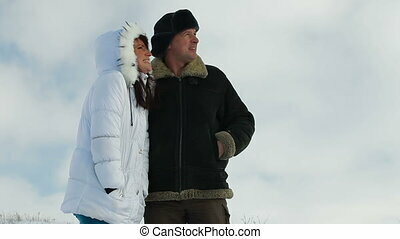 Adult couple enjoying in winter. 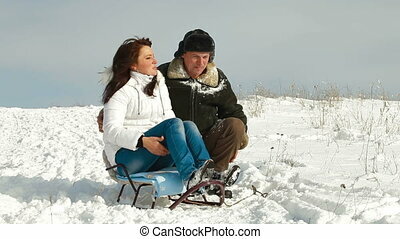 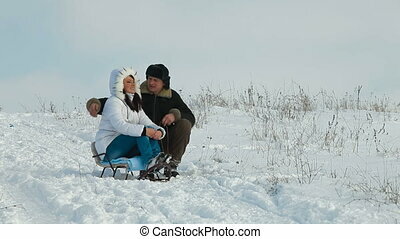 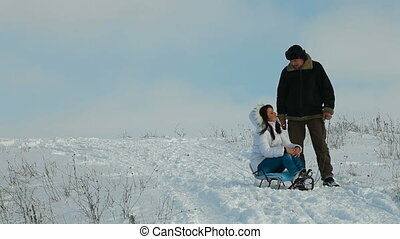 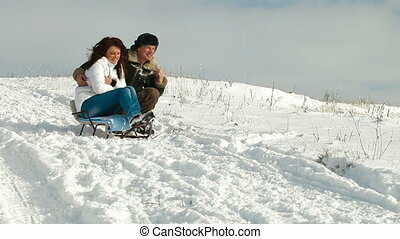 Happy adult couple sledging and enjoying the winter snow. 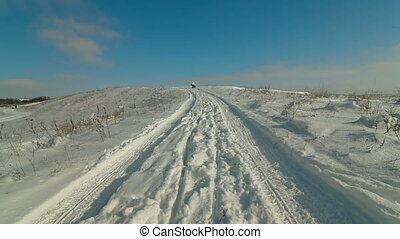 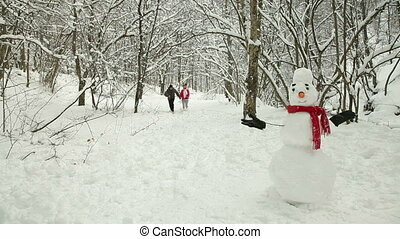 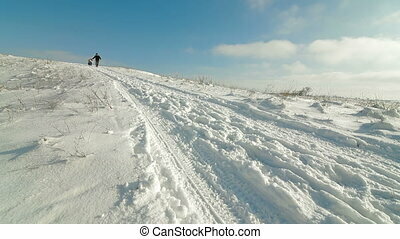 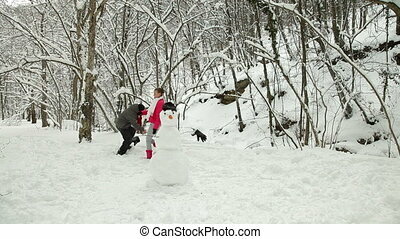 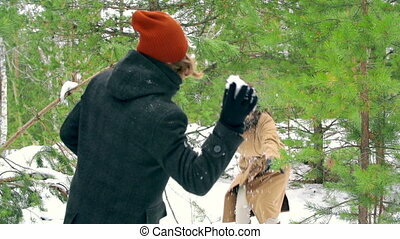 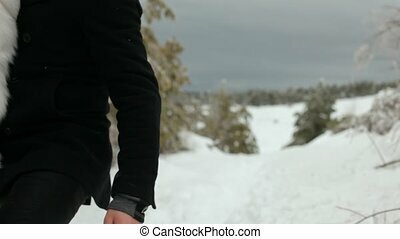 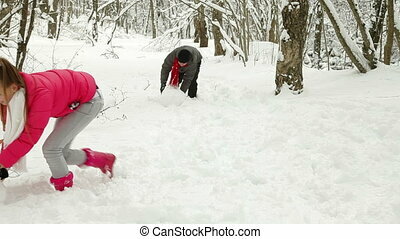 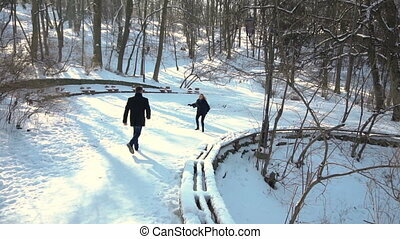 Man and woman walking in winter snow in the woods. 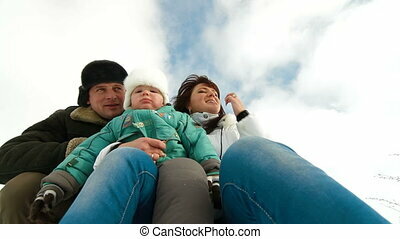 Defocusing of the camera.